9780072900156 | 10th edition (McGraw-Hill, May 1, 2004), cover price $55.01 | About this edition: 0-07-290015-6 JOHN W.
9780071199537 | 9 edition (McGraw-Hill, July 1, 2002), cover price $5.40 | also contains Aerobics for Fiddlers | About this edition: "More students learn from John Santrock's Adolescence than from any other text in this field. 9780072491999 | 9th edition (McGraw-Hill, July 1, 2002), cover price $55.01 | also contains Advanced Techniques For The Modern Drummer: Coordinating Independence As Applied To Jazz And Be-bop With Cd (audio) | About this edition: This 8th edition of "Adolesence" has been updated. 9780697345882 | 6 pck edition (William C Brown Communications, December 1, 1995), cover price $82.75 | About this edition: "More students learn from John Santrock's Adolescence than from any other text in this field. 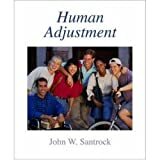 9780078035487 | 15 edition (McGraw-Hill Humanities Social, November 4, 2013), cover price $255.60 | About this edition: More students learn from John Santrock’s Adolescence than from any other text in this field. 9780077606350 | 14 unbnd edition (McGraw-Hill Humanities Social, December 16, 2011), cover price $185.00 | About this edition: "More students learn from John Santrock's Adolescence than from any other text in this field. 9780078117169 | 14 edition (McGraw-Hill Humanities Social, November 3, 2011), cover price $246.75 | About this edition: More students learn from John Santrock’s Adolescence than from any other text in this field. 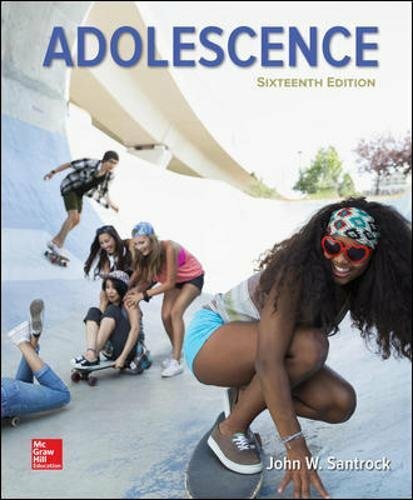 9780073370675 | 13 edition (McGraw-Hill Humanities Social, October 7, 2009), cover price $217.65 | About this edition: More students learn from John Santrock’s Adolescence than from any other text in this field. 9780078035135 | 6 edition (McGraw-Hill Humanities Social, November 3, 2011), cover price $238.95 | About this edition: Connect with Santrock 6th edition and connect with success. 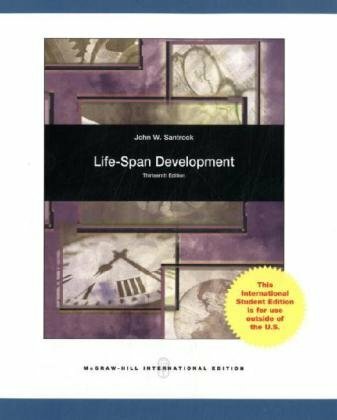 9780073370934 | 5th edition (McGraw-Hill Humanities Social, December 8, 2009), cover price $220.10 | About this edition: John Santrockâs A Topical Approach to Life-Span Development combines the most current research with a proven pedagogical system to provide instructors and students with the best-selling topically arranged introduction to lifespan development. 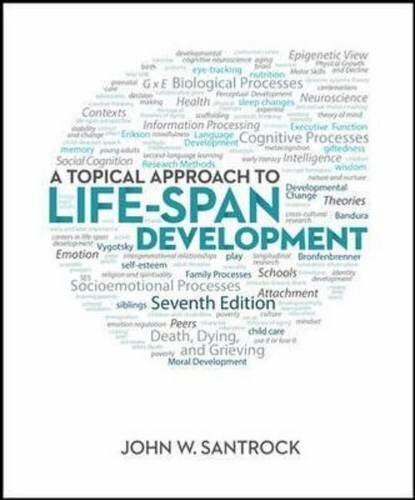 9781259060854, titled "Topical Approach to Life-Span Development" | 7 int stu edition (McGraw-Hill Education, November 1, 2013), cover price $80.20 | About this edition: Connect with John Santrock's Topical Approach to Lifespan Development and connect with success. 9781259060830 | McGraw-Hill Education, March 1, 2013, cover price $73.60 | About this edition: Why are you assigning or considering a brief Human Development text? 9780077527952 | 2 unbnd edition (McGraw-Hill Humanities Social, June 16, 2011), cover price $133.15 | About this edition: Why are you assigning or considering a brief Human Development text? 9780073532073 | 2 edition (McGraw-Hill Humanities Social, January 5, 2011), cover price $177.50 | About this edition: Why are you assigning or considering a brief Human Development text? 9780073405513 | 1 edition (McGraw-Hill Humanities Social, August 31, 2007), cover price $153.40 | About this edition: The entire lifespan in 500 pages. 9780077861834 | 13 edition (McGraw-Hill Humanities Social, January 6, 2015), cover price $255.60 | About this edition: Connecting research and results. 9780078035128 | 12 edition (McGraw-Hill Humanities Social, March 30, 2012), cover price $255.60 | About this edition: John Santrock’s Children combines proven pedagogy and the most current research to provide a market leading presentation of child development. 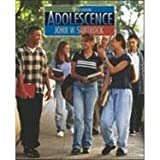 9780072494662 | Stg edition (McGraw-Hill College, June 1, 2002), cover price $38.35 | About this edition: This work takes a chronological approach to child development, covering material from prenatal to adolescence. 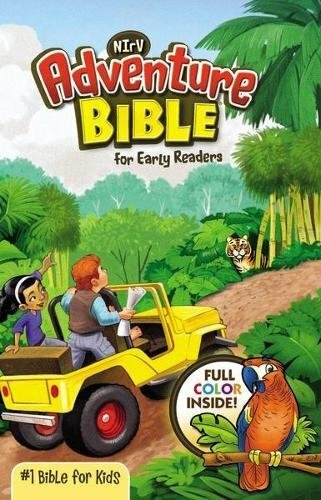 9780073228747 | 9 pck edition (McGraw-Hill Humanities Social, December 27, 2005), cover price $137.05 | About this edition: Children engages students and prepares them to interact with children in a variety of contexts. 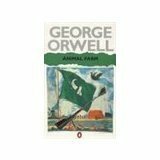 9780078035333 | 14 edition (McGraw-Hill Humanities Social, June 18, 2013), cover price $255.60 | About this edition: Thorough. 9780073370637 | 12 edition (McGraw-Hill Humanities Social, November 10, 2008), cover price $196.00 | About this edition: Thorough. 9780072967432 | 11 edition (McGraw-Hill Humanities Social, December 30, 2005), cover price $155.15 | About this edition: John Santrockâs Child Development is widely considered the most accurate and up-to-date, topically-organized text in the field. 9780071221696 | McGraw-Hill Education, November 1, 2010, cover price $69.45 | About this edition: Connect with Life-span Development and connect with success Informed and driven by research. 9780072500066 | 2nd edition (Glencoe/McGraw-Hill Post Secondary, November 1, 2002), cover price $100.85 | About this edition: Written by the author of highly effective psychology texts relied upon by thousands of teachers and students, "Educational Psychology" is a well-crafted text that emphasizes the application of theory to classroom practice. 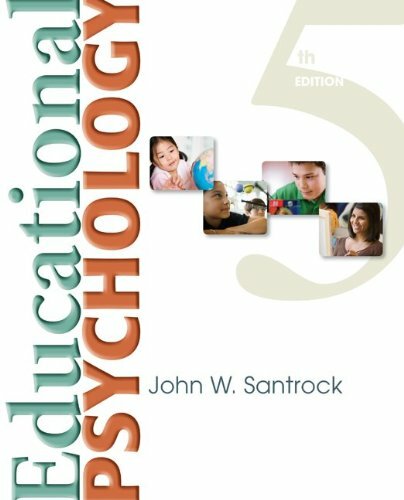 9780073378787 | 5th edition (McGraw-Hill Humanities Social, December 28, 2010), cover price $267.35 | About this edition: John Santrockâs Educational Psychology emphasizes the application of theory to real classroom practice. 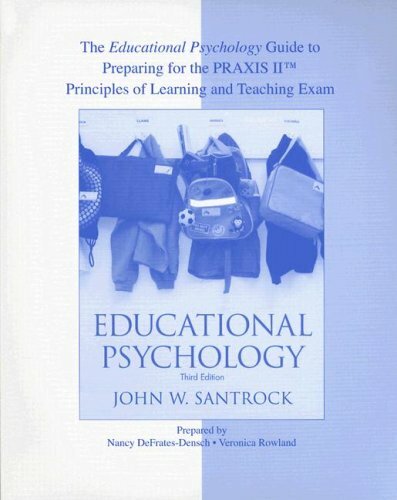 9780072855876 | Pck edition (McGraw-Hill Humanities Social, June 1, 2003), cover price $127.80 | About this edition: Written by the author of highly effective psychology texts that are relied upon by thousands of teachers and students, John Santrock's Educational Psychology excels in showing future teachers how to put theory into practice. 9780072906363 | McGraw-Hill College, June 1, 2000, cover price $80.60 | also contains 100 Rock & Roll Workouts For Bass | About this edition: Never Highlight a Book Again! Product Description: Written by the author of highly effective psychology texts relied upon by thousands of teachers and students. Educational Psychology emphasizes the application of theory to classroom practice. 9780073300054 | 3 tch edition (McGraw-Hill Science Engineering, March 30, 2008), cover price $22.01 | About this edition: Written by the author of highly effective psychology texts relied upon by thousands of teachers and students. 9780072849882 | 2 har/cdr edition (McGraw-Hill College, November 1, 2002), cover price $76.70 | About this edition: Success is in the balance. 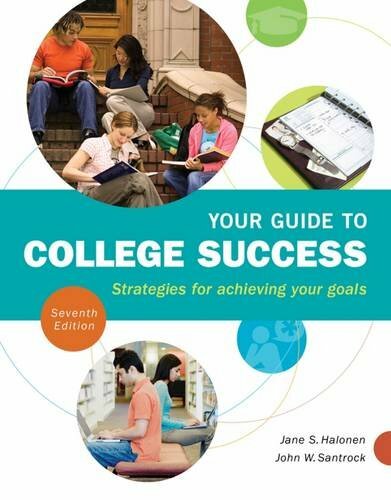 9780077236366 | 2 pap/cdr edition (McGraw-Hill College, July 20, 2007), cover price $131.00 | About this edition: Success is in the balance. 9780072937626 | Updated 2n edition (McGraw-Hill, August 1, 2004), cover price $55.01 | About this edition: Success is in the balance. 9780072980745 | 2 pck edition (McGraw-Hill Humanities Social, May 30, 2004), cover price $121.15 | About this edition: The Essentials version of Santrock's Psychology satisfies the demand for a shorter text that can easily be covered in one semester. 9780072564853 | 2 pck sub edition (McGraw-Hill College, July 1, 2002), cover price $71.00 | About this edition: Success is in the balance. 9781413031928 | 5th edition (Wadsworth Pub Co, January 5, 2007), cover price $96.95 | About this edition: Whether you're fresh from high school or a returning student, this book provides hands-on strategies to help you develop the skills and confidence that are vital to success in college and beyond. 9781413032635 | 5 lslf edition (Wadsworth Pub Co, January 5, 2007), cover price $48.95 | About this edition: Whether you're fresh from high school or a returning student, this book provides hands-on strategies to help you develop the skills and confidence that are vital to success in college and beyond. 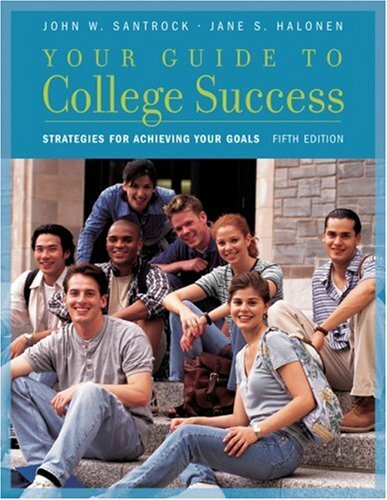 9781413020779, titled "Your Guide to College Success: Strategies for Achieving Your Goals" | 4 unbnd/ps edition (Wadsworth Pub Co, January 6, 2006), cover price $66.95 | About this edition: Looseleaf Version. 9781413022650 | Wadsworth Pub Co, January 3, 2006, cover price $64.95 | About this edition: Authored by John Santrock, a prominent developmental psychologist, and Jane Halonen, an educational leader in critical thinking, this new text will appeal to instructors who teach a short version of the college success course, have not previously or recently used a commercial textbook, and/or use handouts or self-published packets to teach the course. 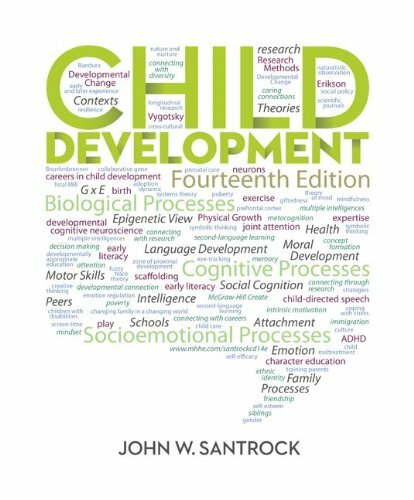 In this topically organized introduction to child development, John Santrock balances the content instructors want with the and pedagogy students need. Child Development 9th edition continues Santrockâs tradition of presenting cutting edge research and offering strong, integrated coverage of culture, ethnicity and gender, and school related issues. An expert consultant reviewed each chapter to ensure that the latest research is reflected. For students, the textâs highly praised pedagogical system has been enhanced to improve understanding of how all of the material fits together. 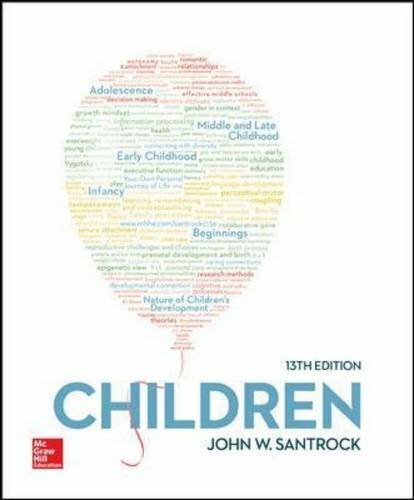 9780074058251 | Hardcover with CD edition (McGraw-Hill College, January 1, 2000), cover price $98.00 | About this edition: In this topically organized introduction to child development, John Santrock balances the content instructors want with the and pedagogy students need. 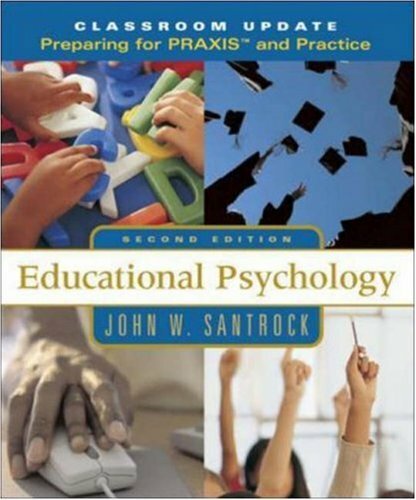 9780697235541 | 7 edition (Brown & Benchmark Pub, March 1, 1996), cover price $87.35 | About this edition: In this topically organized introduction to child development, John Santrock balances the content instructors want with the and pedagogy students need. 9780071215084 | 10th edition (McGraw-Hill, June 1, 2003), cover price $5.53 | About this edition: This learning goals-driven textbook, designed for a topically organized child development course, includes: the largest number of 21st century citations of any text on the market, a student focused learning system integrated throughout, and thoroughly integrated coverage of culture, ethnicity and gender. 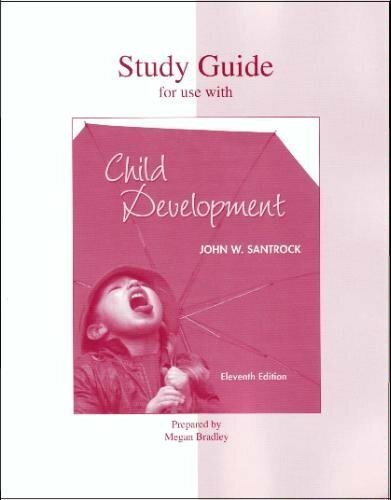 9780074059074 | 9 pck edition (McGraw-Hill College, September 1, 2000), cover price $112.95 | About this edition: In this topically organized introduction to child development, John Santrock balances the content instructors want with the and pedagogy students need. 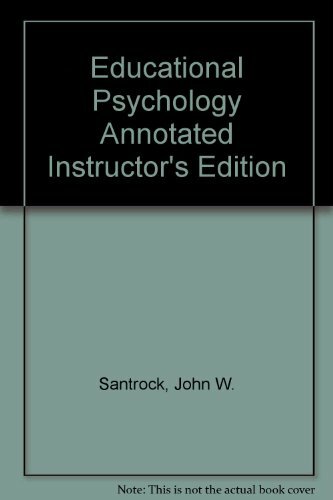 9780072412956 | 9 signed edition (McGraw-Hill College, August 1, 2000), cover price $40.50 | About this edition: In this topically organized introduction to child development, John Santrock balances the content instructors want with the and pedagogy students need. 9780072299441 | 8 edition (McGraw-Hill College, August 1, 1998), cover price $44.05 | About this edition: This learning goals-driven textbook, designed for a topically organized child development course, includes: the largest number of 21st century citations of any text on the market, a student focused learning system integrated throughout, and thoroughly integrated coverage of culture, ethnicity and gender. 9780073218700 | 11 stg edition (McGraw-Hill Humanities Social, December 16, 2005), cover price $68.20 | About this edition: Student Study Guide to Accompany Child Development 11th edition Study Guide by John W.
9780697253514 | 8th edition (McGraw-Hill College, January 1, 1998), cover price $35.15 | About this edition: Book by Santrock, John W.
9780073111919 | Pap/cdr edition (McGraw-Hill Humanities Social, April 22, 2005), cover price $220.10 | About this edition: In this new text for Psychology of Adjustment courses, John Santrock presents psychology as a research-based science that can be applied successfully to improving personal adjustment. 9780697235718 | 2 edition (William C Brown Communications, June 1, 1999), cover price $117.15 | About this edition: Human Adjustment's engaging and accessible coverage of psychological principles and research is just the beginning. 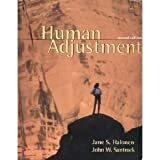 9780697235732 | Stg edition (McGraw-Hill Humanities Social, June 1, 1999), cover price $51.15 | About this edition: This text takes a student-centred approach to the psychology of personal adjustment. 9780697171993 | Brown & Benchmark Pub, September 1, 1994, cover price $74.95 | About this edition: This text takes a student-centred approach to the psychology of personal adjustment. 9780073209326 | 2nd edition (McGraw-Hill Humanities Social, February 15, 2005), cover price $21.30 | About this edition: Offered free with every new copy of the text or as a separate stand-alone item, the Student Toolbox offers a Praxis study guide in addition to a Video Library, 32 Crack the Case studies, Study Resources, Theory in to Practice activities, Practice Resources, and Teaching Strategies in Practice for each chapter. 9780073126487 | 2 pap/cdr edition (McGraw-Hill Humanities Social, January 4, 2005), cover price $127.80 | About this edition: Written by the author of highly effective psychology texts relied upon by thousands of teachers and students, this text shows future teachers how to put theory into practice. 9780534645304 | 4 pap/cdr edition (Wadsworth Pub Co, January 3, 2005), cover price $72.95 | About this edition: Authored by John Santrock, a prominent developmental psychologist, and Jane Halonen, an educational leader in critical thinking, this proven text and CD-ROM package appeal to instructors who want to emphasize student self-awareness in pursuit of college success goals, as well as active learning strategies. 9780534572280 | Pap/cdr edition (Wadsworth Pub Co, November 1, 2001), cover price $45.95 | About this edition: This book will appeal to coordinators of College Success courses-in particular, those who place equal emphasis on academic skills and personal adjustment. 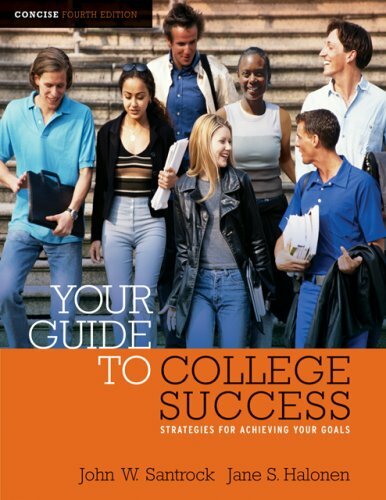 9780534533687 | Pap/cdr edition (Wadsworth Pub Co, September 1, 2000), cover price $45.95 | About this edition: This new CD-ROM to accompany YOUR GUIDE TO COLLEGE SUCCESS continues the book's mission to motivate and engage first-year students by connecting student's needs and self-reflection to the exercises and action steps proven to help students stay in college and succeed. 9780534703257 | Pck edition (Thomson Learning, June 1, 2000), cover price $38.95 | About this edition: This book will appeal to coordinators of College Success courses-in particular, those who place equal emphasis on academic skills and personal adjustment.